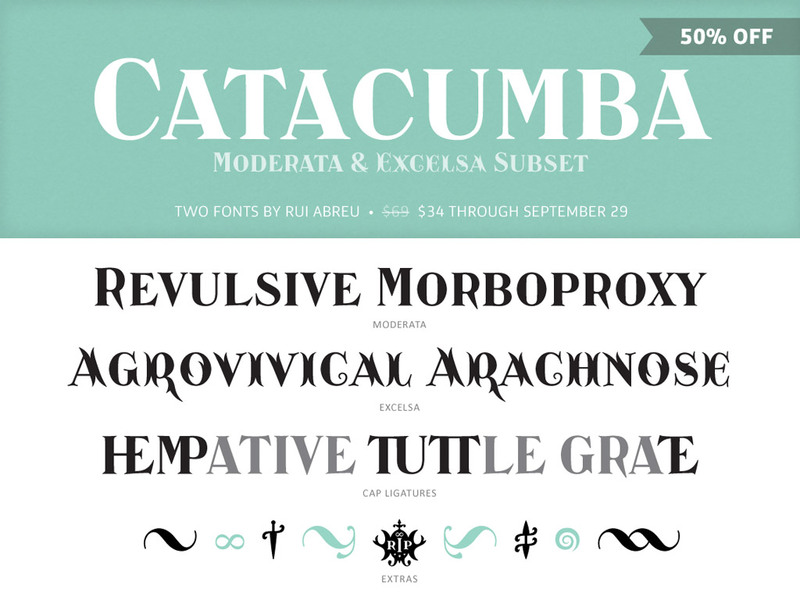 This Catacumba Pro Display Subset sale is scary, at only $34 (50% off) through September 29th. Catacumba’s centerpieces are its two titling styles: the exuberant Excelsa, and the didonesque Moderata. Each Catacumba font includes an expanded selection of OpenType ranges and features, allowing for extensive usewithin the Latin range.